Are you looking for your dream dive vacation? This is the second in a series of reviews of the best dive resort locations around the world. 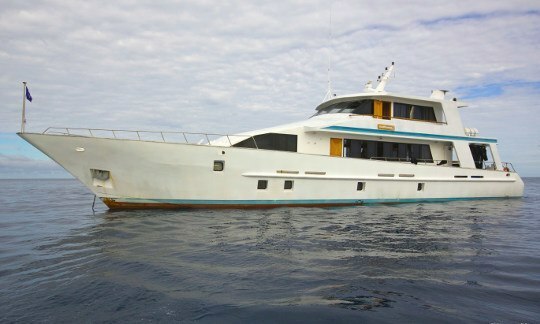 In fact, this one is kind of a hybrid, where resorts and liveaboards will both be discussed. 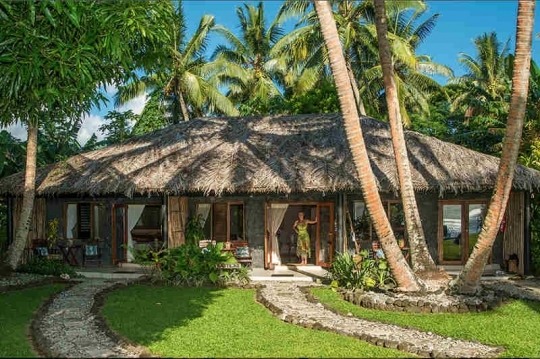 In this post, the focus will be Fiji. 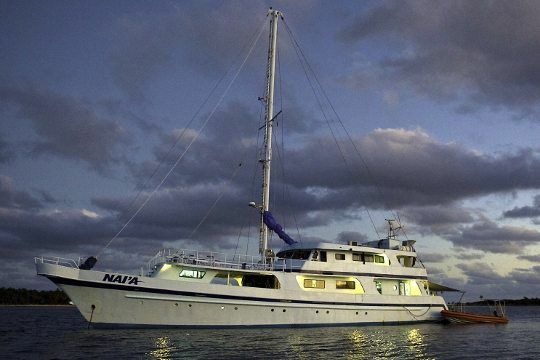 Below is a description of the diving and a review and comparison of the best dive resorts and liveaboards with photos, videos and a map. If you would like to make a reservation or get complete information on any of the resorts or liveaboards and conditions, click on one of the Dive the World banners located at the bottom of this post or in the right sidebar. Then go to Dive Destinations / Fiji. 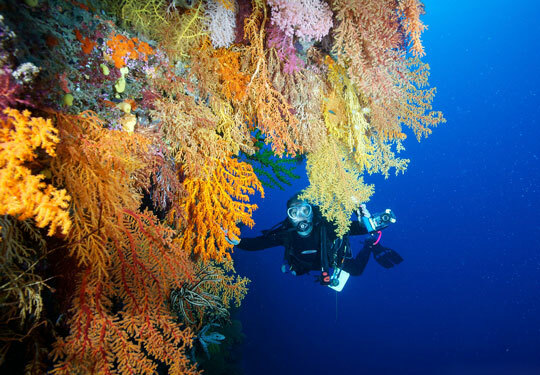 Fiji is renowned for its soft coral. In fact Jean Michel Cousteau calls it the “Soft Coral Capital of the World.” There are barrier reefs with lagoons and fringe and patch reefs providing caves and caverns, swim throughs and walls, all bathed in currents bringing the nutrients that fuel all sorts of sea life, with 390 species of soft and hard corals and 1,200 species of fish, including many pelagics and a big population of resident sharks. Taveuni and the Koro Sea, including the Somosomo Strait have great soft corals, wall diving and coral tunnels and is an excellent place for pelagics. 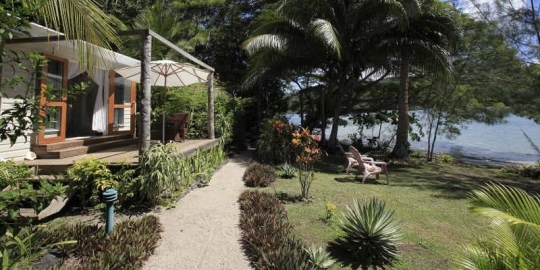 Kadavu is a distance from the big resort areas providing a more peaceful environment. It includes the Great Astrolabe Reef, a barrier reef with the usual rich Fijian soft coral and reef life where manta rays are common. Viti Levu is the big island where the capital, Suva, is located on the south end. Rakiraki and Bligh Water on the north end offer a pristine reef with abundant fish life. 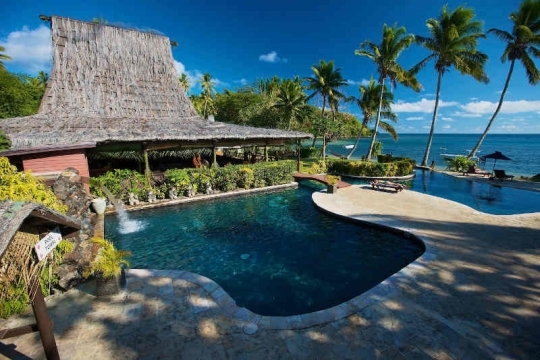 Pacific Harbor in the south is where the famous Fiji shark dives happen (see video below the Volivoli Resort review). 8 different sharks come around including tawny nurse sharks, whitetip, blacktip and grey reef sharks, sicklefin lemon sharks, silvertips and bull sharks and the bad boy of the region, tiger sharks. Bequa Lagoon off Bequa Island just to the south of Viti Levu is behind a barrier reef and another bountiful dive area that has the benefit of being relatively close to Suva and the main air port. Diving is a year round activity in Fiji. The main season for tourists is in winter from April to September. The best visibility is from July to December when the water is cooler, on average 25°C (77°F) hitting lows of 22°C (72°F) . This temperature reduces plankton and increases vis to >50 meters. From November to April (summer) temps range from 28-30°C (82-86°F). December to March is the rainy season with a greater chance of typhoons. The rain results in more run off from rivers decreasing the vis. From November to April the water is warm enough for a 3 mm full wetsuit or even perhaps a shorty. From May to October, some divers will want 5 mm. 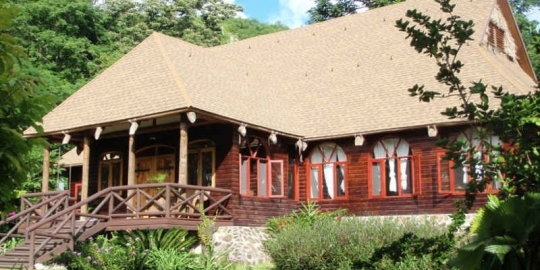 There are two outstanding liveaboard safaris and 3 primary resort areas represented by 2 resorts each, which are reviewed. If you would like to book a resort or want fuller information on all the available options, please click on the Dive the World banner just below at the bottom or in the right sidebar. Then go to Dive Destinations / Fiji. I was completely terrified of the sea. As a young boy I had an experience that stayed with me till now. 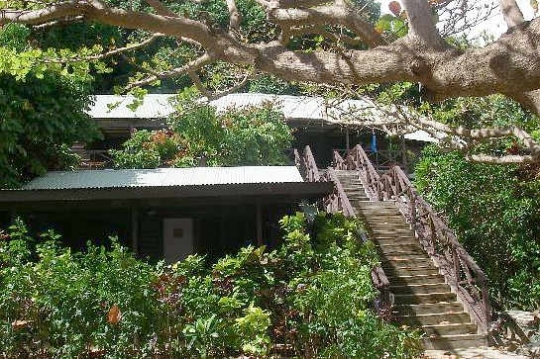 However about 15 years ago in an effort to fight the demon within, I went to a training center in The Philippines to learn how to dive in a pool, which was reasonably ok… And then we went to Anilao for a check out dive and I was terrified. The instructor I had was amazing and after almost 1 hour on the surface, eventually I went down to an incredible world that I fell in love with. You post makes Fiji look amazing and a place I should surely put on my list of places to go. You content is very helpful. The listings and pricing will help anyone plan a trip. I hope one day I can visit to try some of these dives out. As for me I am still terrified of the sea and it still takes me an hour or so to go under the water, but I do it. Once I am under I am great. Thanks for your comments and for relating your personal story, fears and all. It sounds like what you did was a sort of discover scuba diving experience in which you actually only went for the one dive in the ocean. By the way, I have been to Anilao and the diving is beautiful there. I spent several years across the way from there in Puerto Galera. I must admit Fiji is on my bucket list, Unfortunately due to my health I would not be able to dive however. I can snorkle and would love to just photograph such a beautiful place. Even though you and your site are into the diving side of tourism, would you have any recommendations for just snorkeling or photography? Beautiful informative site, the videos are very educational. Actually many of the places in my posts on liveaboards have excellent photography suitable for snorkelers on board. Some of them will allow passengers who snorkel only, but some of them will not. Also, some vessels go to settings with rough surface conditions not suitable for snorkeling. 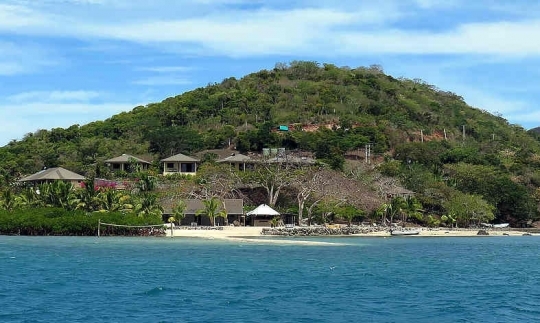 I can suggest that the resorts described in this post on Fiji have good snorkeling and sea life right off the beach. Otherwise on my site go to the posts on Bali and Langkayan Island in Malaysia. Excellent snorkeling with photography is accessible at those resorts. If you have and further questions about this or anything related to travel and the sea, please let me know. P.S. 10/30/18 I have just published a post on Roatan Honduras liveaboards. Both of the dive boats in that area can provide excellent snorkeling opportunities and are set up to accept snorkelers in their packages. Good luck!